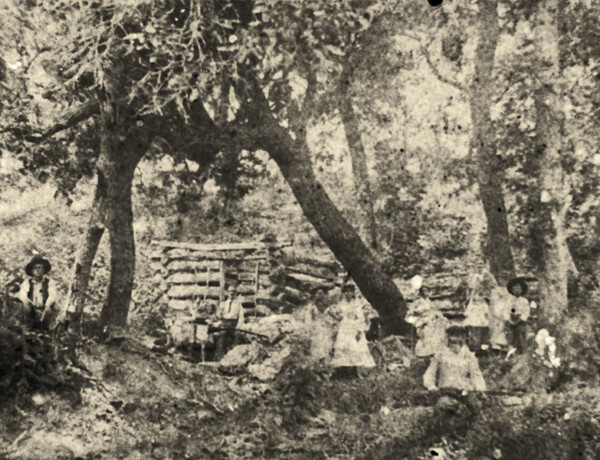 Suckers on the Strip Louis Mueller was among those who took a chance for land 125 years ago—and got busted. 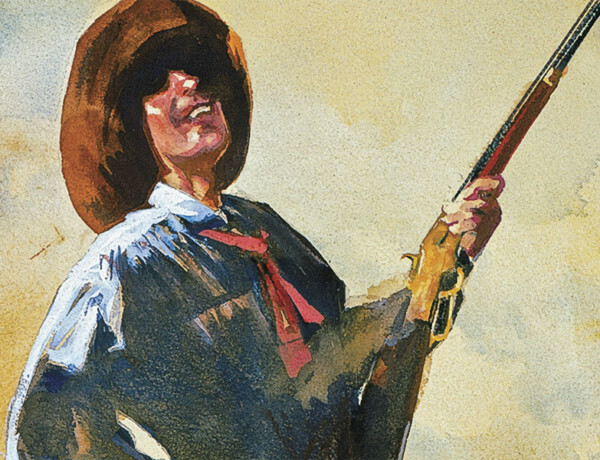 Who Killed the Texas Terror? 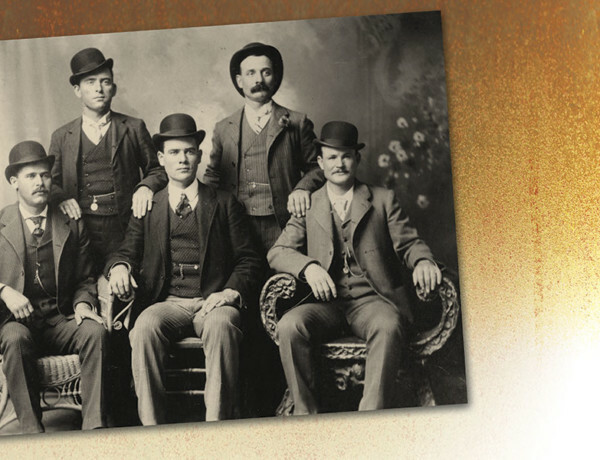 John Wesley Hardin often gets the credit for murdering Sheriff Jack Helm. But does he deserve it? 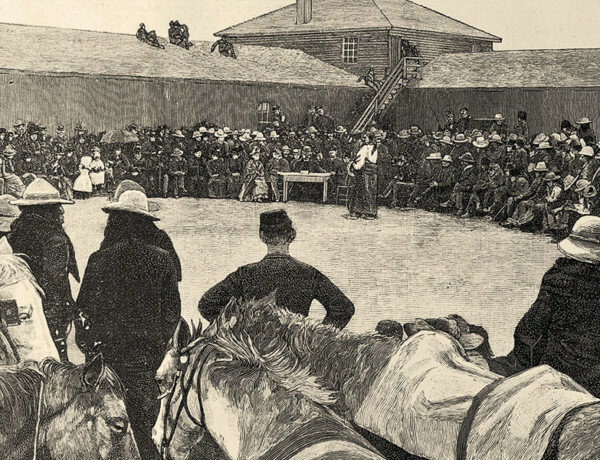 Sitting Bull’s Dancing Horse A meeting missed between the Lakota holy man and world-renowned showman “Buffalo Bill” Cody. 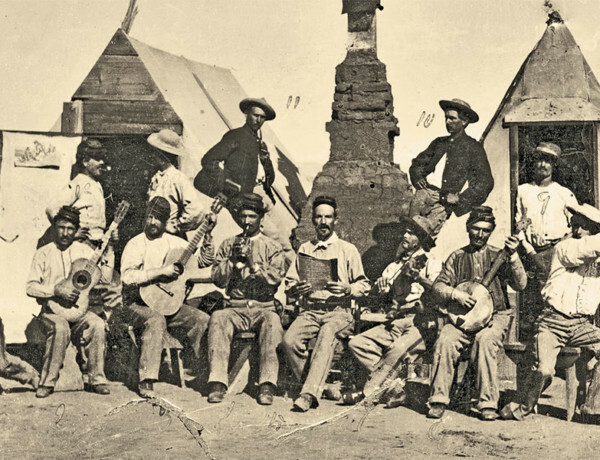 Music to Our Eyes The earliest-known outdoor tintype of Arizona Territory preserves a military band scene at Camp Verde. 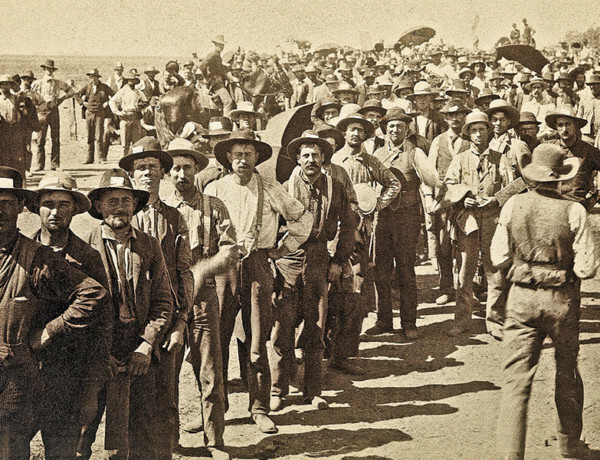 The 65 Most Important Historical Photos From the McCubbin Collection In honor of True West’s 65th anniversary, we are proud to present the world-class collection acquired by Robert G. McCubbin, our publisher emeritus. 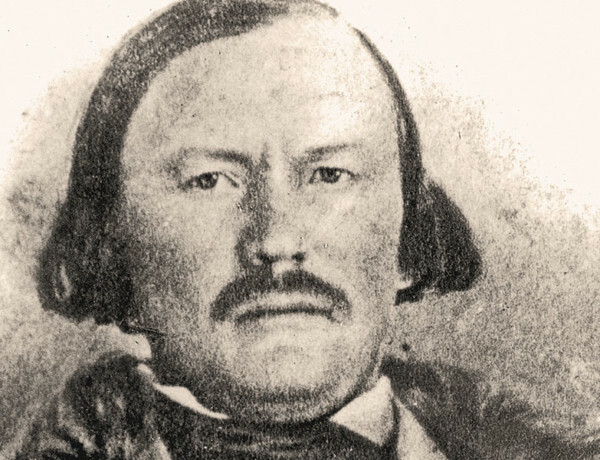 Kit Carson and the Mountain Men Was Kit Carson truly the king of the trappers? 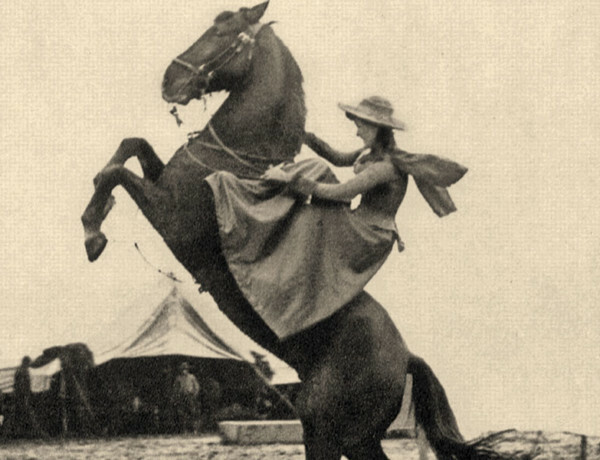 The Scandalous Saddle Women riding aside leads to dangerous (and ridiculous) saddle invention. 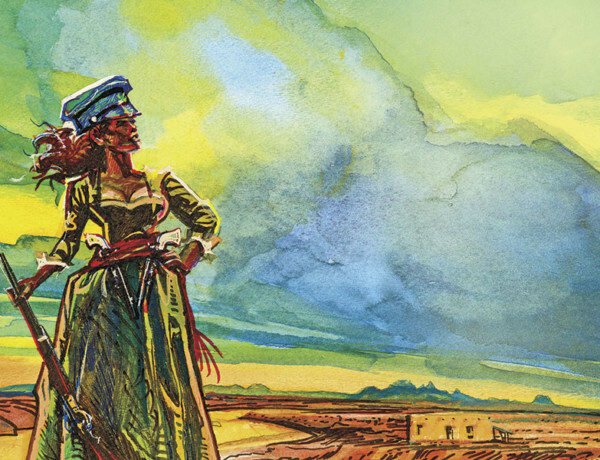 The Great Western “She packed two six-shooters, and they all said she shore could use ’em....” — Jeff Ake. 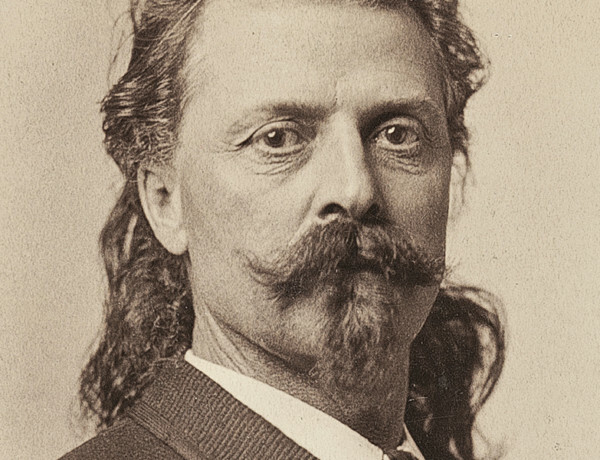 Buffalo Bill Busted He perfected the Wild West show, toured the world, got rich and then lost millions. What happened?